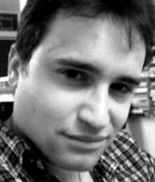 Benjamin Kerstein is Associate Editor of The Tower Magazine and the author of Diary of an Anti-Chomskyite and the novel The Mighty Quinn, available at Amazon.com. He lives in Tel Aviv. Why Did It Take Israelis So Long to Love Shimon Peres? Could Houellebecq’s World Really Happen? Can Michael Oren Become the Icon of the Israeli Center? How Will History Remember Netanyahu? Operation Protective Edge had a profound effect on the Israeli psyche. Could Israel Become a Cultural Superpower?